On the 50th anniversary of the assassination of Martin Luther King, Jr., we present an updated edition of William F. Pepper's An Act of State. Fifty years after Martin Luther King Jr.'s assassination, we are still grappling with the familiar, difficult truths about race in America. The injustices he resisted are still a part of our everyday life, and racism is as much a driving force in our politics, culture, and society today as it was on the day of King’s assassination. There is perhaps no more striking confirmation of this than the fact that more black people died at the hands of the police in 2017 than were lynched in the most violent year of Jim Crow. To commemorate the 50th anniversary of the assassination of Martin Luther King, Jr., we have brought out an updated edition of An Act of State: The Execution of Martin Luther King by William F. Pepper. 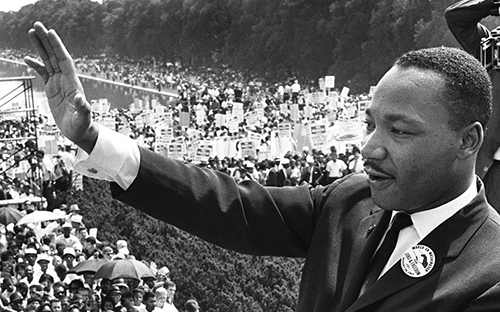 On April 4, 1968, Martin Luther King was in Memphis to support the city’s striking sanitation workers. As night fell, army snipers took up position, military officers surveilled the scene from a nearby roof, and their accomplice—restaurant owner Loyd Jowers—was prepared to remove the murder weapon once the deed was done. When the dust had settled, King had been shot and a cleanup operation was in motion—James Earl Ray was framed, the crime scene was destroyed, and witnesses were killed. It would take William F. Pepper, attorney and friend of King, thirty years to get to the bottom of a conspiracy that changed the course of American history. In 1999, the King family, represented by Pepper, brought a civil action lawsuit against Loyd Jowers and other co-conspirators. Seventy witnesses set out the details of a plot that involved J. Edgar Hoover and the FBI, Richard Helms and the CIA, the US military, the Memphis police, and elements of organized crime. Now, fifty years after MLK’s execution, An Act of State demonstrates the bloody depths to which the US government will descend to repress the disruptions of radical social change.